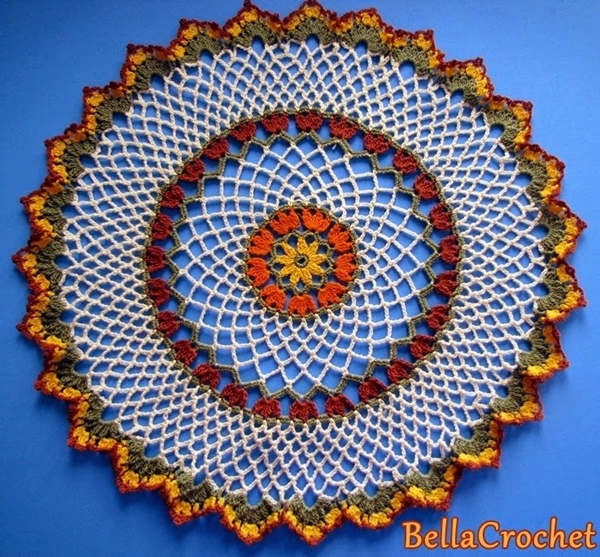 There is just something special about creating something beautiful on your own to enhance the décor of your home. Even if it’s something small and silly like these plastic bottle craft ideas. 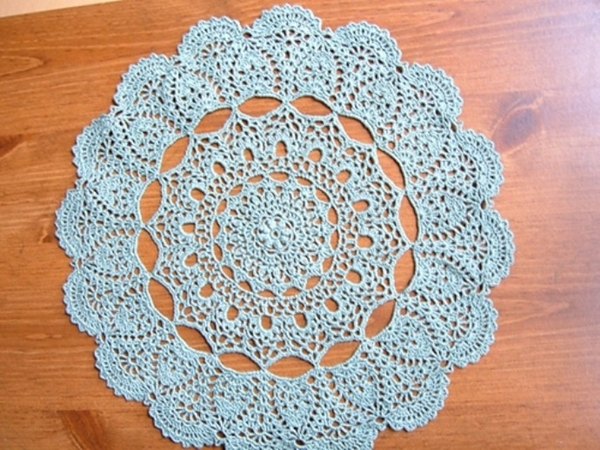 And doilies are one such thing that just adds a vintage and beautiful touch to any vacant space. 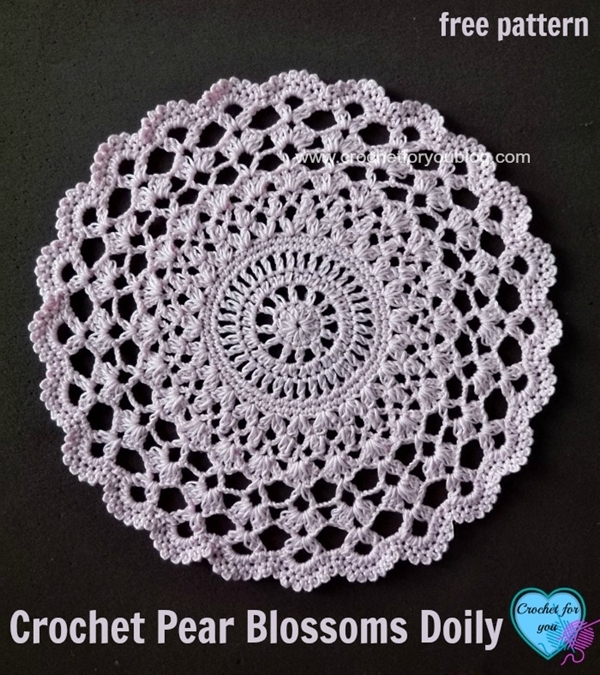 You can find paper doilies for a very cheap price but if you have a thing for crochet work then why not create lots of crochet doilies on your own. 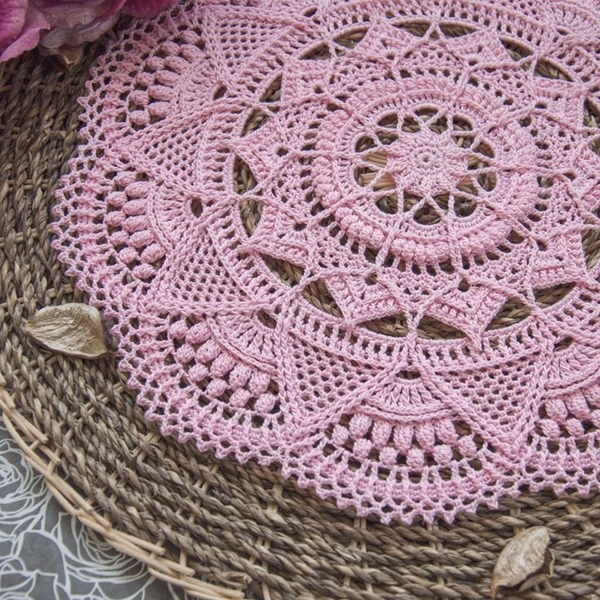 Just take a look at these Beautiful Crochet Doily Designs to Practice. Your home defines you but the front gate gives out the first impression. Take a look at these front gate ideas that are simply brilliant and then sure get back to doilies. 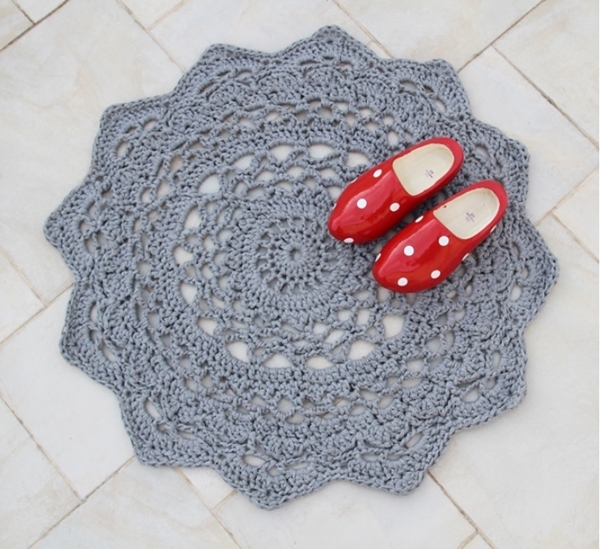 Making things on your own gives you a certain freedom regarding designs and patterns and colors. 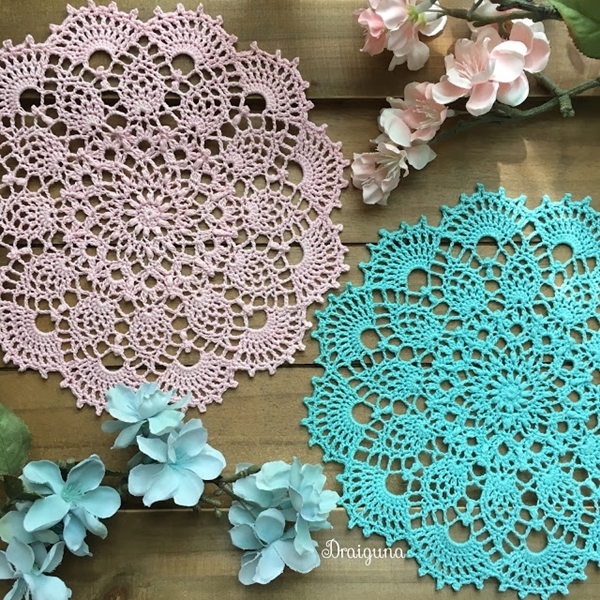 Doilies are being used as a beautiful piece of art in almost every corner of the home and since you are making it on your own then you certainly have the advantage to choose any of the above things that will match the theme of the room. 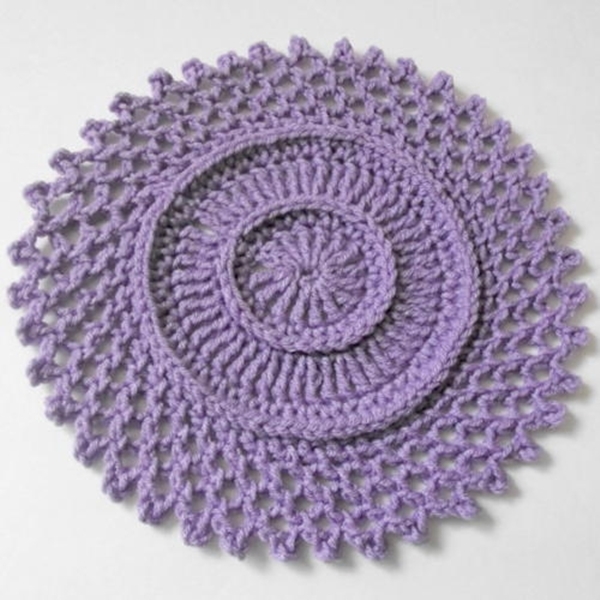 And, crocheting is fun! Make your house more beautiful with these amazing French decor ideas. 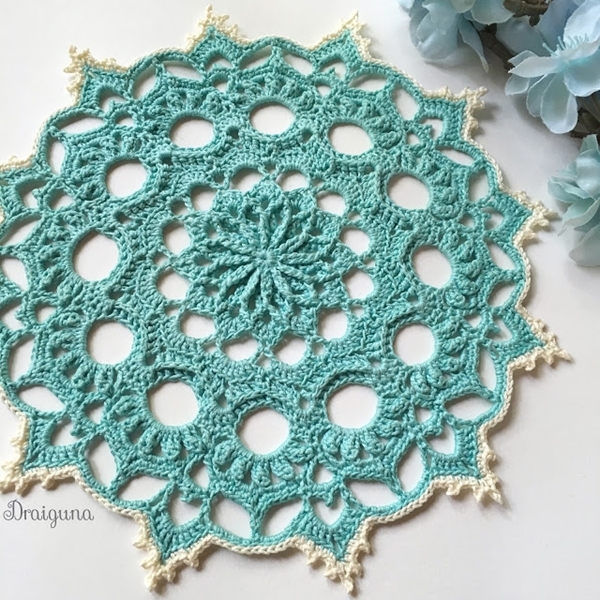 Little cute pineapples twisted around in a doily look definitely adorable. 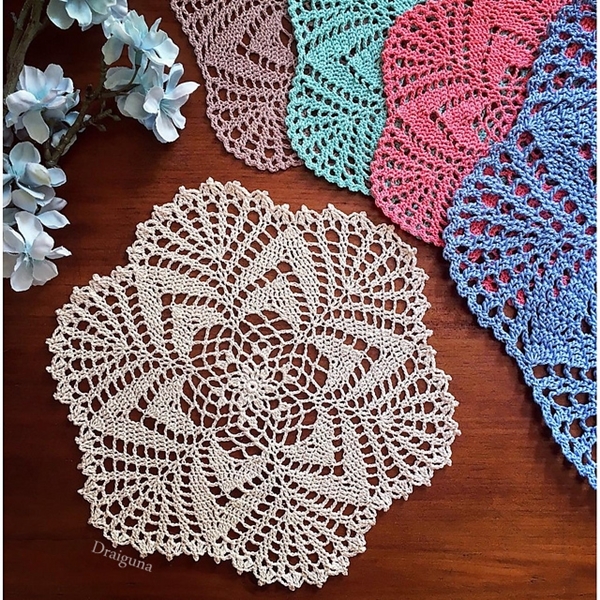 And on a tabletop, these lovely pineapple crocheted doilies will certainly bring the unique touch. 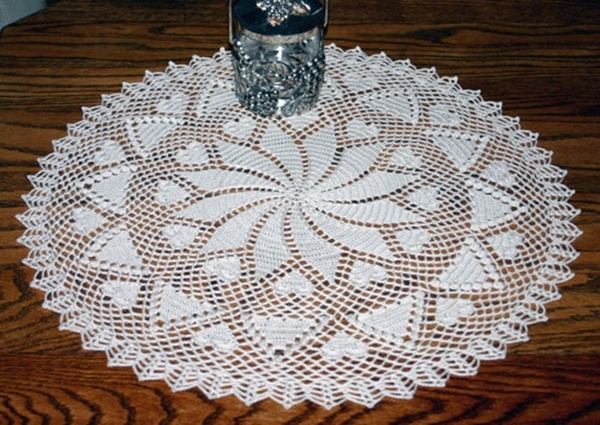 Learn more about how to decorate your tables in case of special occasions. 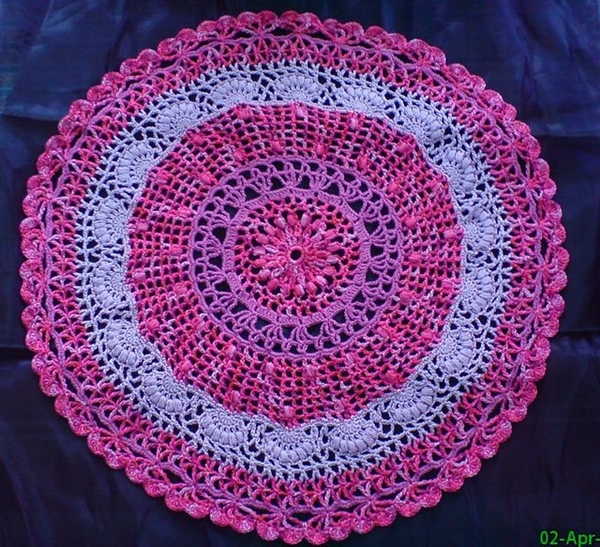 These crochet doilies here are made using size 10 crochet cotton. 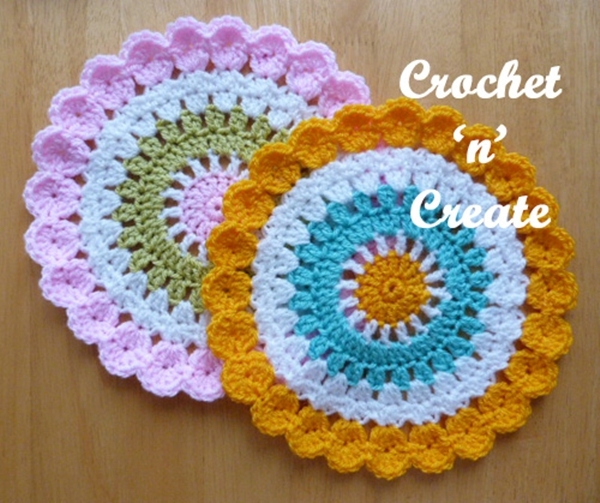 You can choose pastel colours or can opt for a bright colour for more impact. 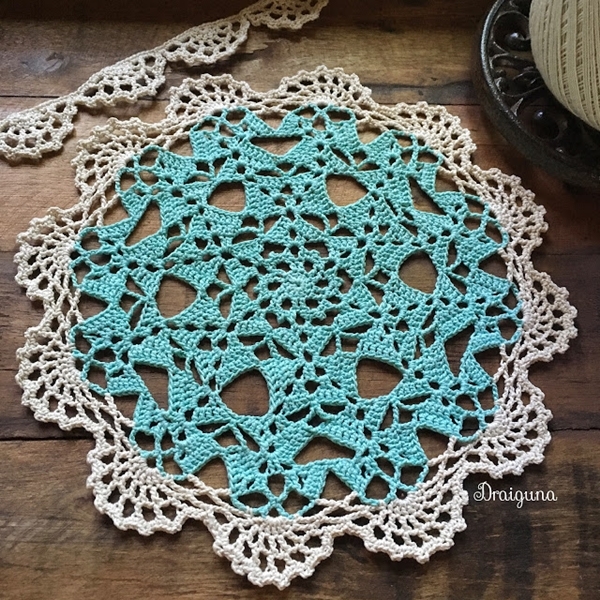 This pattern is exquisite to look at. 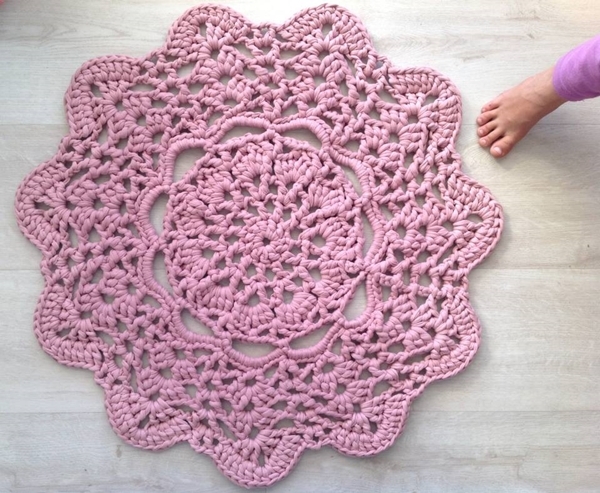 It came out so beautiful in the end that instead of using it as a rug (since it was too cute to be stepped upon with dirty shoes) Sara used it as a tabletop later. The rug reminds me to tell you about these amazing 3D floor installations that will blow your mind. 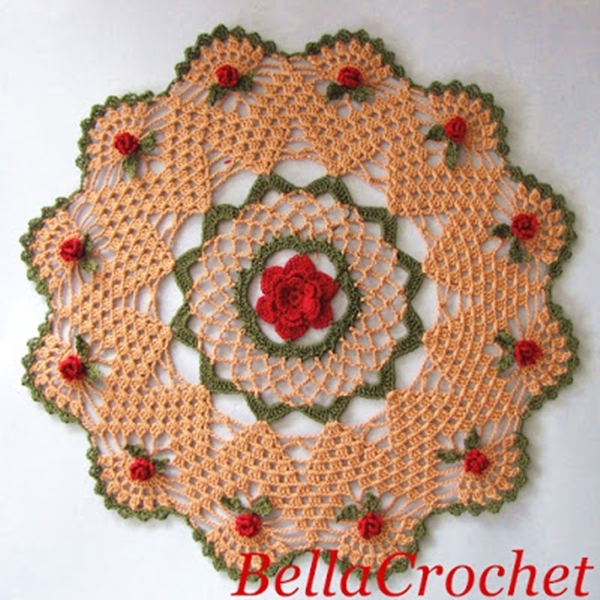 And even if you are not a pro in crochet work, you can still make this pattern easily. Just follow her instructions and you will do be fine. 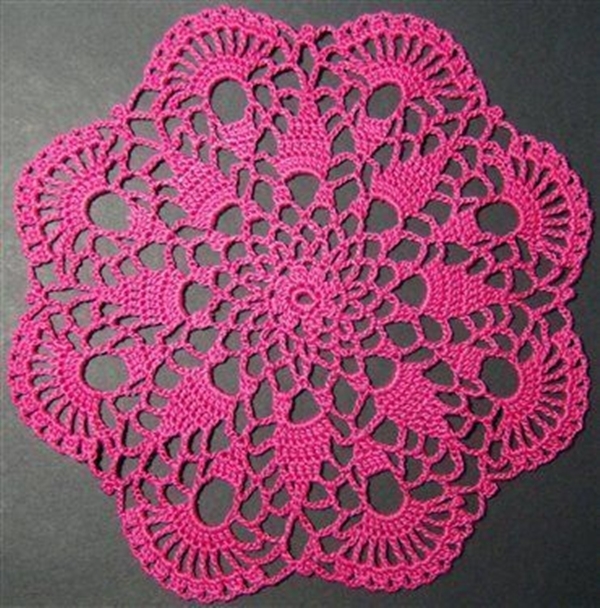 You can use these doilies for a wall hanging as well. Make your stair wall more attractive with these beautiful decor ideas. 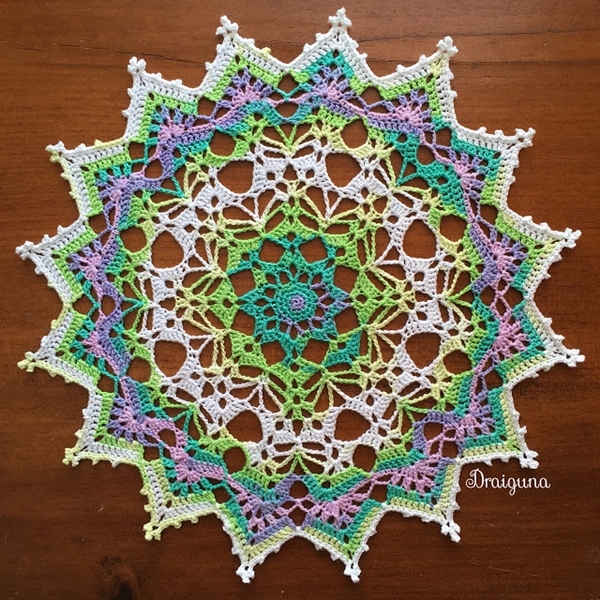 This pattern is really a fresh breath of air just as the name suggests. 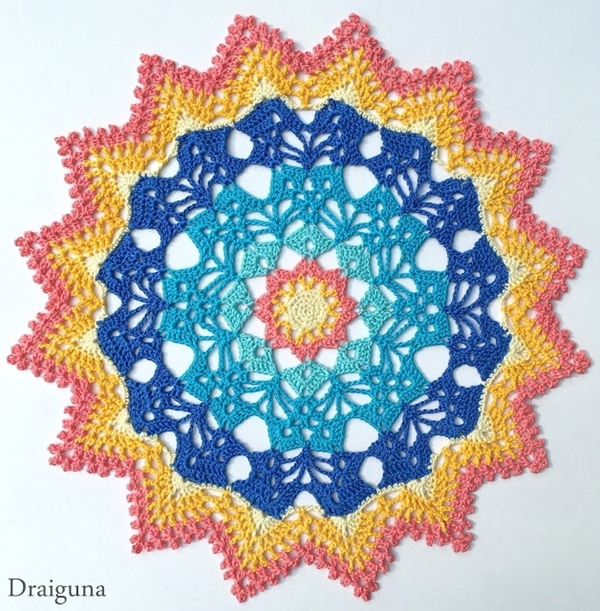 Using different coloured yarns has added a more beautiful touch to this pattern. 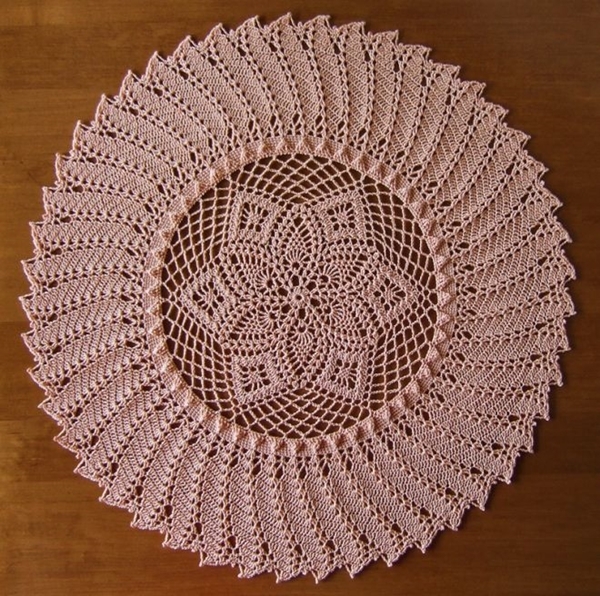 The thread used for this one is a size 10 and the hook is about 1.5 mm. Make sure you get all the appropriate material and start working on it. And while you are at it, take a look at these coastal decor ideas to enhance the beauty of your home. 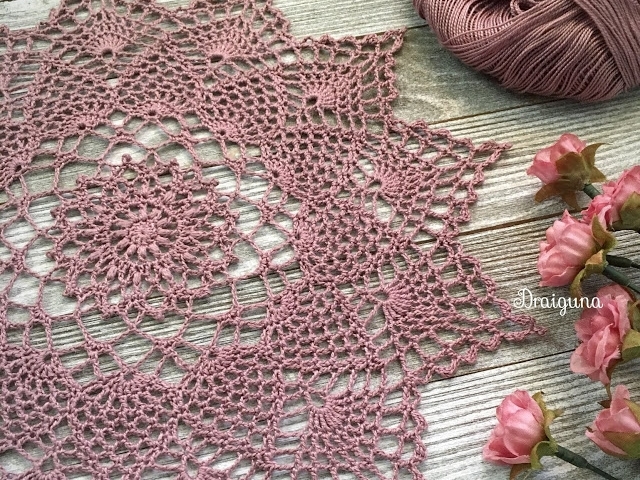 The Moonpetals pattern is as gorgeous as the name suggests. 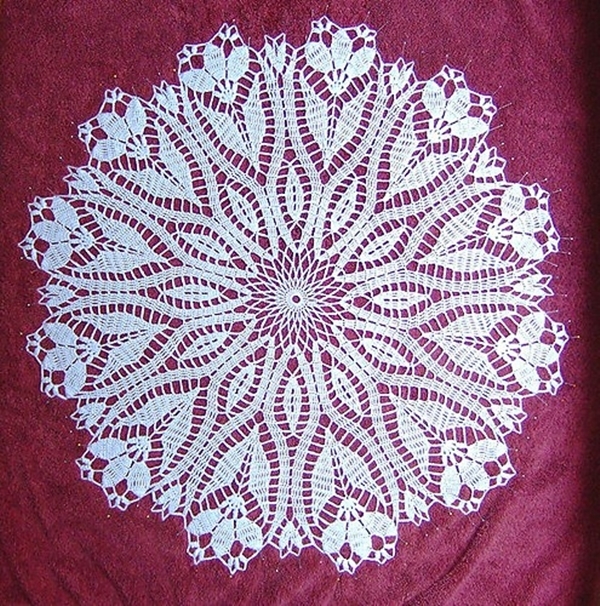 This doily is comprised of different beautiful stitches such as pineapple, puff stitches, picots, etc. 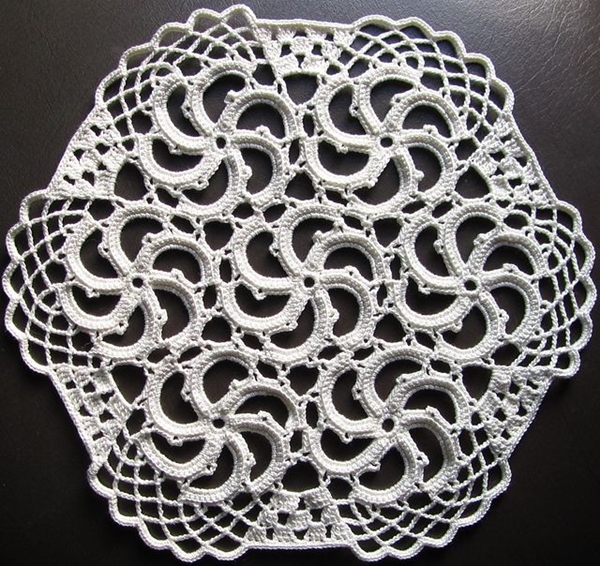 The design is intricate and mesmerizing so if you are aiming for elegance then this is the one to go for. 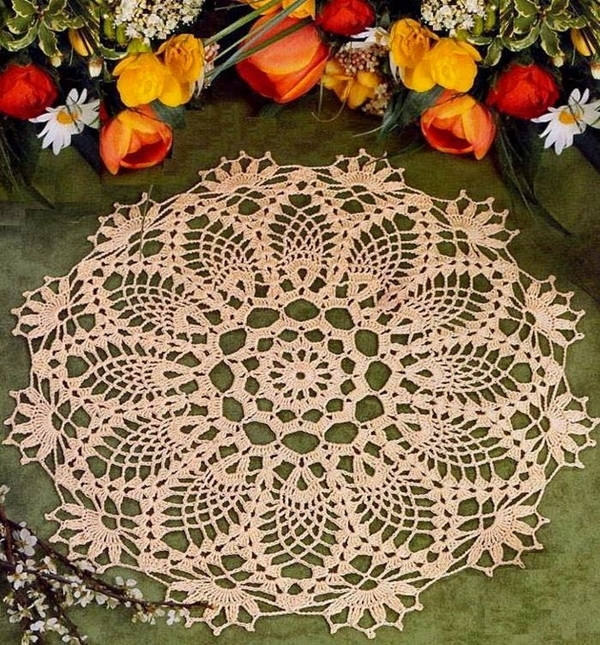 With these doilies nearby, update your balcony with these vintage ideas. 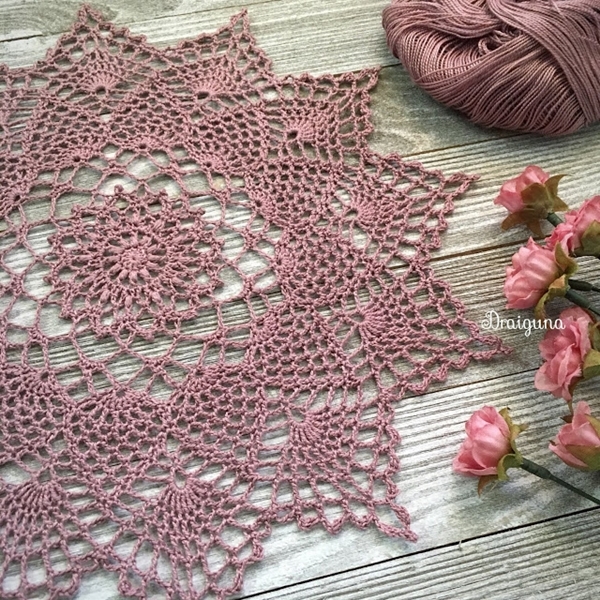 The dawnglow pattern is a bit similar to the Moonpetals pattern so if you are going for the moonpetals pattern then you can try the dawn glow pattern as well. 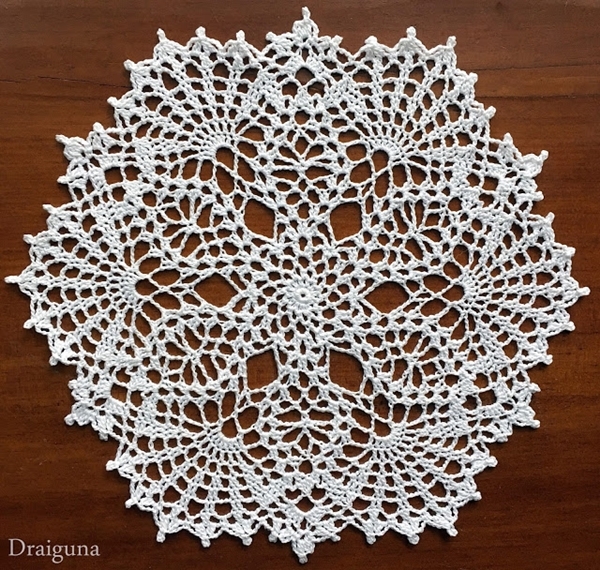 This pattern needs a hook of 1.75 mm and the crochet thread of size 10 as usual. 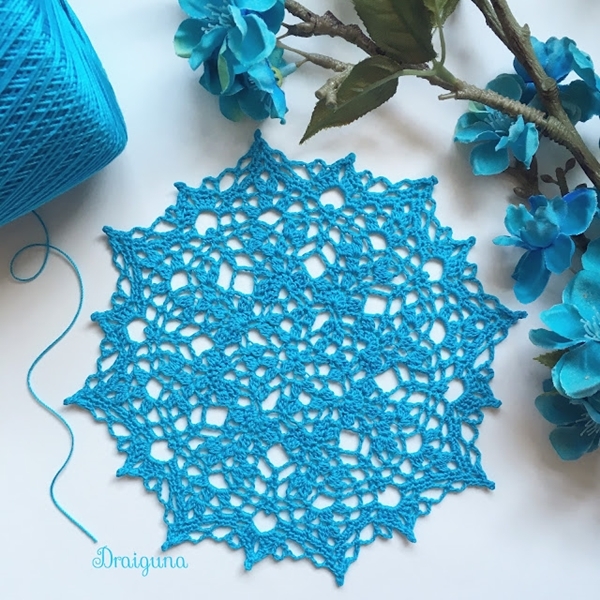 The pattern is as beautiful as the name. And these house designs comprising of wood are beautiful as well. Take a look! 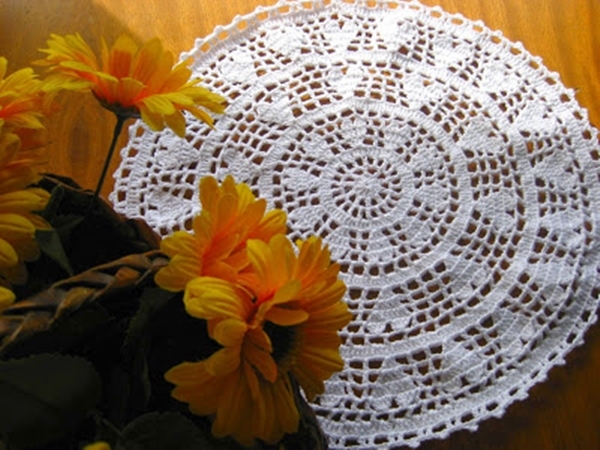 This beautiful doily is a beautiful piece of art to keep on a table top. 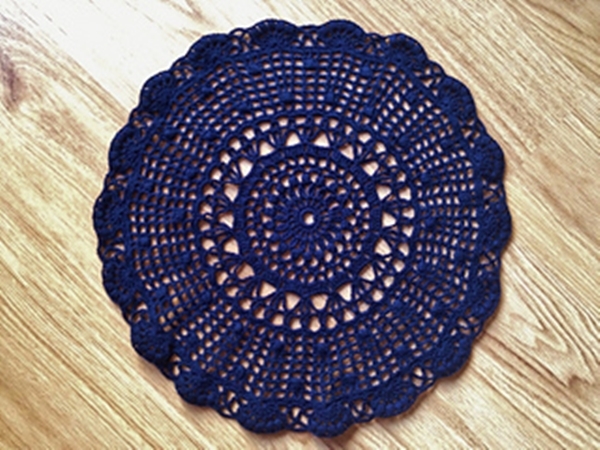 This doily pattern needs a hook of 1.5 mm. They have used a cotton ball for a thread here of size 10. 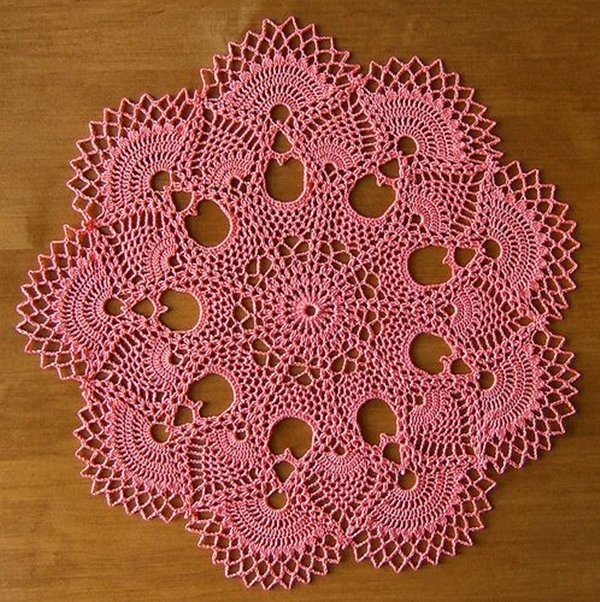 This design is quite beautiful and really vintage. 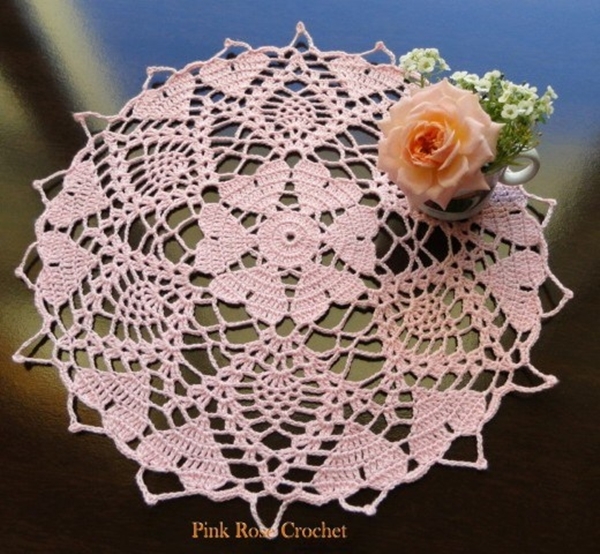 And though the name suggests autumn, the doily is perfect for summer and fall as well. 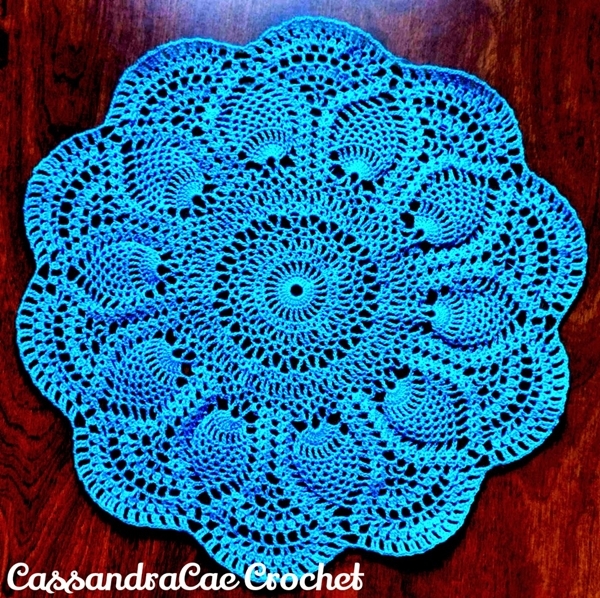 Crochet doilies will give you an amazing piece of lace. 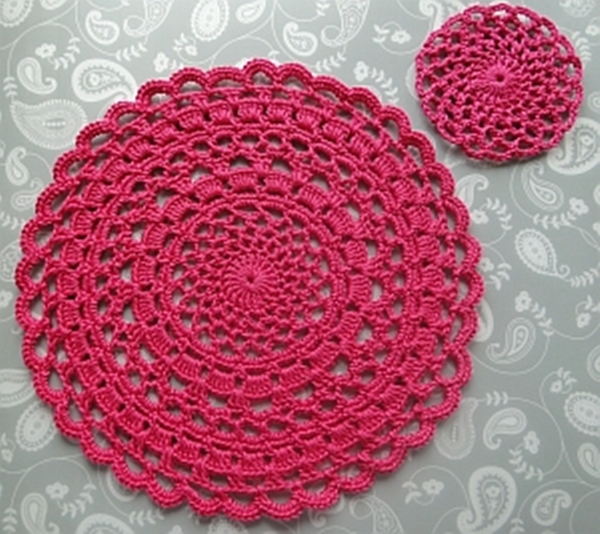 Speaking of doilies, you can use them to decorate almost everything. Like even these beautiful wedding cards. The name is intriguing, isn’t it? 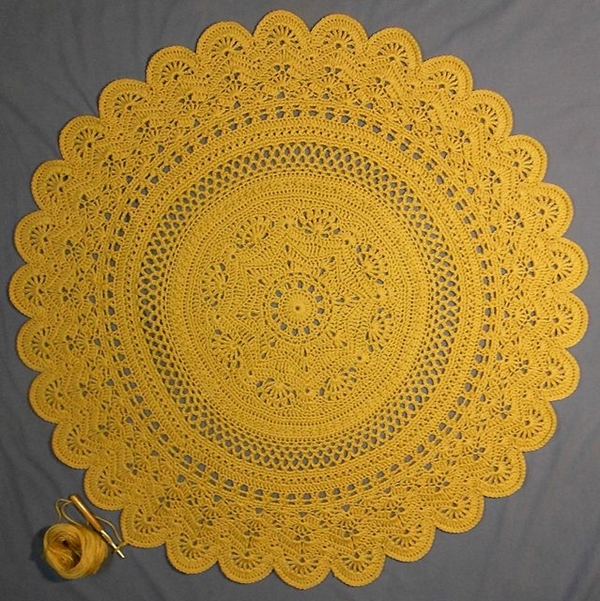 The design is intriguing as well and a really gorgeous one to look at. 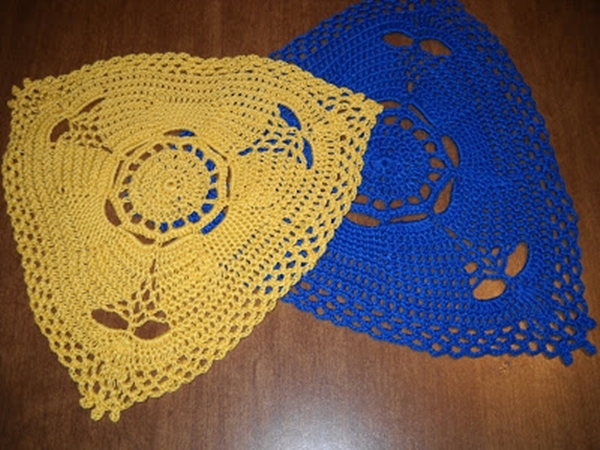 Two colours are used that are blue and white to bring in more impact of the name. Both the thread size is 10 while the hook used is 1.75 mm. 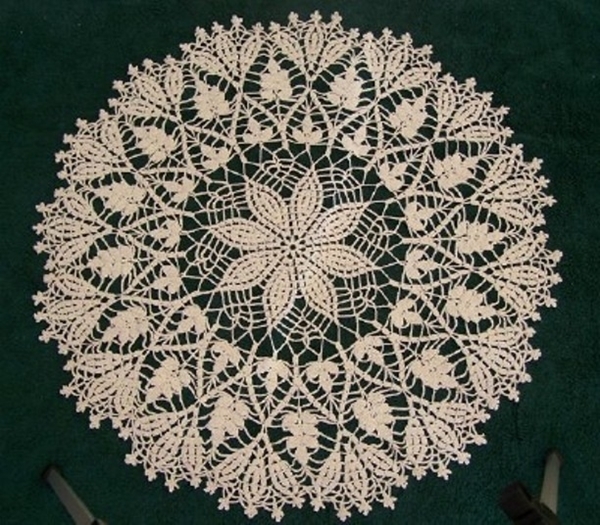 It consists of some stitches such as picot and beg shells. I like the way it looks simple but classy as well. 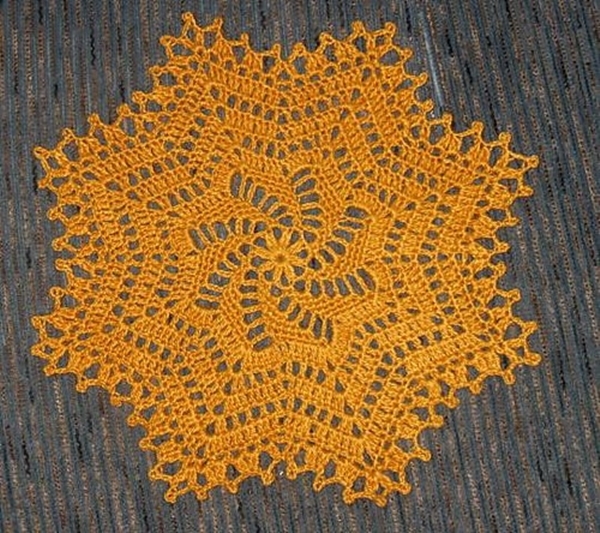 The threads used are of size 10 in a bright shade of gold and the hook used to make this pattern is of size 7. 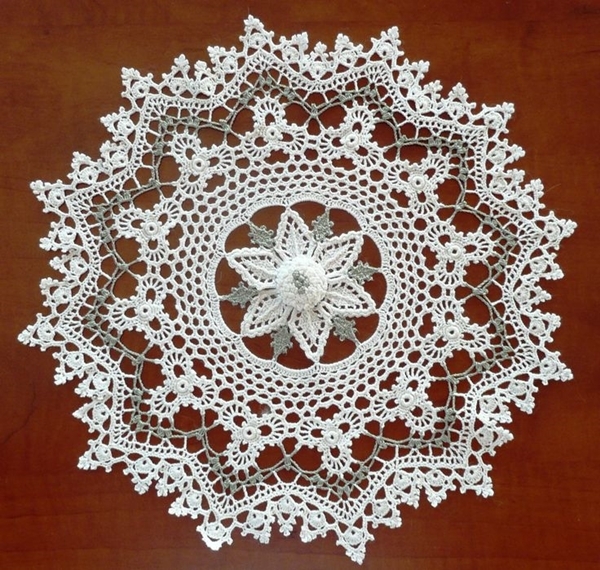 The different stitches that are used to make this beautiful doily are cluster and shell. 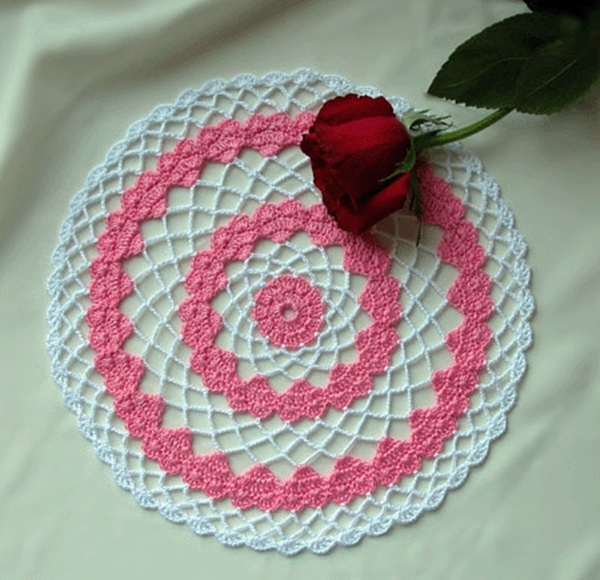 You can even gift these beautiful doilies to your friend or better sell it. Also, sell some of the things that you are never going to use in of the garage sales like this. 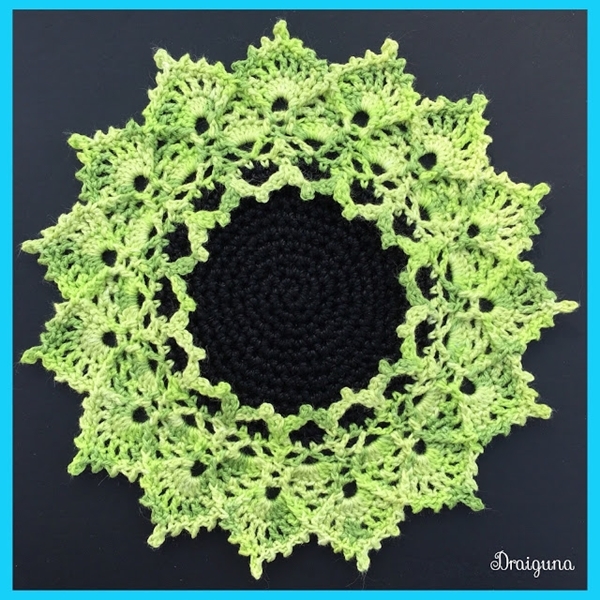 It doesn’t matter if you are perfect or not in the crocheting. The effort always counts. Besides, practice makes a woman perfect! 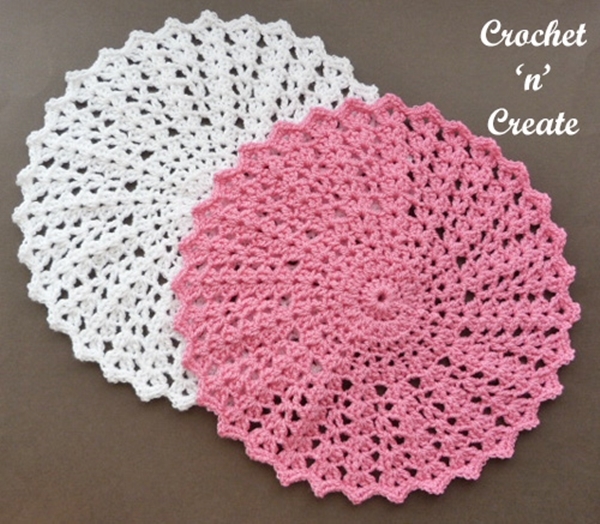 So get your crochet club ladies together and start making few doilies of your own. 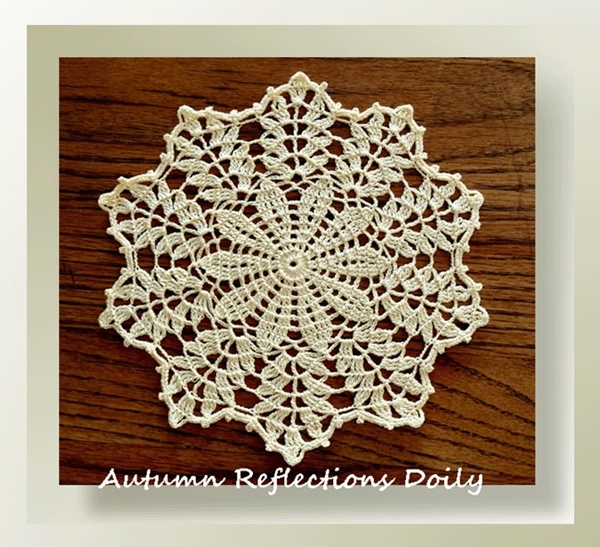 They will add a new touch of elegance to your decor. Also, you know, you can update your shoes like in really easy ways. Take a look here to know more.